Home | House Cleaning Services | Hiring a Housekeeper: How Often Should Your House Be Cleaned? Hiring a Housekeeper: How Often Should Your House Be Cleaned? Living in a clean, tidy and clutter-free home can contribute to your positive mood and help improve your health. Whether you’ve decided to hire the best maid service in Cypress, TX or tackle your cleaning chores on your own, you should know how often your house should be cleaned. Hiring a cleaning service brings many perks, but you need to make sure your cleaners are insured and that you’ve booked with the best cleaning company there is. How often do you have to clean your house? Regular house cleaning and maintenance is essential for creating a healthy, fresh home environment for you and your family. You might worry about not being able to clean your house every day or being too overwhelmed with other obligations. Luckily, not all cleaning tasks need to be done on a daily basis. Of course, if you decide to ask professional cleaners for help, you won’t have to think about any of the chores on your to-do list. Nonetheless, you should still know how often certain areas around your home need to be cleaned because this might help you decide how frequently you’ll need professional cleaning services. Cleaning tasks that should be done on a daily basis are essential for maintaining proper hygiene levels in your home. You should start every day by making your bed because this will make your entire bedroom seem more organized and tidier. Washing your dishes after a meal is another simple task that should be completed after each meal. Wiping your kitchen surfaces, sweeping your floors and doing the laundry are next on your daily to-do list. These tasks will help you maintain a more organized home atmosphere and prevent clutter and dirt from building up. Once a week, you should deal with tasks such as changing and washing your sheets, vacuuming and mopping your floors, and dusting around your home. Also, remember to sanitize your sponges and rags to avoid spreading germs around your house. Go through your fridge and throw away any spoiled or expired food. Make sure to have proper supplies when cleaning your house. In addition, if you use bleach for sanitizing some of the areas in your home, make sure to follow the guidelines given by the Centers for Disease Control and Prevention. Some people prefer to have a big clean of their homes once a month and deal with cleaning tasks that don’t require their attention every day. These tasks include dusting and cleaning lighting fixtures around your home, dusting window blinds, cleaning and sanitizing your washing machine, dishwasher, and vacuum cleaner, and vacuuming vents. Certain tasks can be completed every once in a while or, to be more specific, once every three to six months. These tasks refer to cleaning certain areas that you don’t use on a daily basis or that need more time to get dirty. For example, you should clean inaccessible areas behind or under your furniture, tackle your kitchen range hood, desanitize and freshen your garbage disposal and drains, vacuum your mattresses, wash your pillows, etc. Washing your curtains and drapes should be also done once every three to six months. When it comes to cleaning tasks such as having your carpets deep cleaned and clearing out the gutters, you don’t have to deal with them more than once a year unless there’s some specific reason why you should. 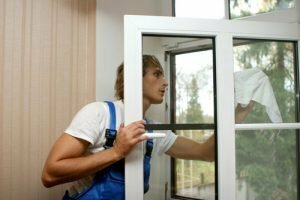 Deep cleaning your windows can also be done once a year, as well as cleaning around your vents and dryers. Of course, if you feel that other areas in your home need a good clean or scrub, feel free to do it. Some people prefer doing certain tasks more frequently than others, so they come up with schedules and routines that work for them. Deep cleaning requires you to be more detailed, which can be quite time-consuming, but it will provide you with much better results and a spotless home. If you simply don’t have time to deep clean your home, you can let reliable cleaning experts take over this cleaning task. However, you might need to deep clean your living space every now and then, so you should know how often certain areas require this treatment. The bathroom: In this area, you should tackle everything from faucets and showerheads to the tub, sink and toilet. Since you use the toilet, shower and sink more frequently, you should deep clean them every week. Other items, such as showerheads, can be deep cleaned once a year. The kitchen: Make sure to deep clean your microwave, counters, and the kitchen sink every week while the fridge requires a deep cleaning treatment once a month. As for the oven, you can deep clean it when it starts to smell of previously cooked food. The bedroom: When it comes to deep cleaning your bedroom, you should tackle pillows every three months while mattresses, duvets and blankets should be done once a year. Living areas: Deep clean your carpets once a year (or twice if needed). Drapes and curtains need a deep clean every three to six months while windows should be deep cleaned on a yearly basis. Some people have their reservations when it comes to hiring a cleaning professional to help them out and provide them with regular or one-time services. However, there are many reasons why hiring a housekeeper might be the perfect solution for you. More family time. Without cleaning chores on your mind, you and your children can learn more about your town because you’ll finally have time to visit the Cypress Historical Society and spend more time together. Effortlessly clean home. A clean and fresh home will be waiting for you every day and you won’t have to lift a mop. Your cleaners will tackle everything for you so that you can relax and unwind. Professional services. Experienced cleaners employ effective cleaning methods and special supplies. They also offer a range of different services, from basic to deep cleaning. So, not only will you get a clean home, but you’ll also get a perfectly clean environment. No cleaning chores. If you simply don’t like cleaning, you shouldn’t think twice about hiring a housekeeper. You’ll finally be able to do the things you really love. 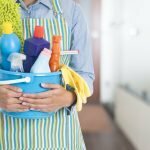 How to book exceptional cleaning services in Cypress, TX? That’s Clean Maids has got your back! If you need help from experts who render outstanding Cypress, TX maid services, you should rely on That’s Clean Maids. We will help you get in touch with the most reliable cleaners in the area who can handle any cleaning obstacle there is. There’s no need for you to waste your time or energy cleaning because we know experienced and qualified cleaning pros who can do your chores in a heartbeat. You just need to make an appointment and we’ll take care of the rest. Contact us today!